We're back in Tompkins Square Park, where the featured entree of the day is Pigeon. The hawk had spent the previous 2-3 hours studying a flock of pigeons on the ground before finally selecting one and going for it. 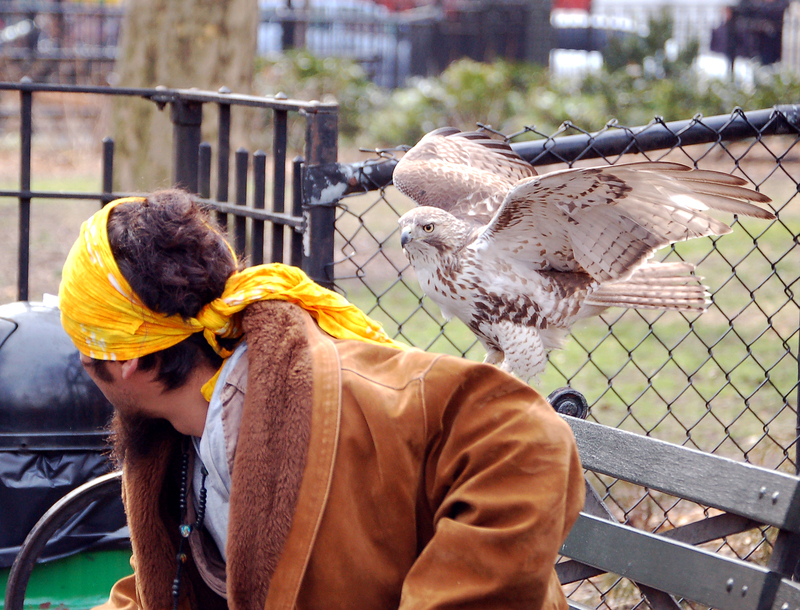 After catching the pigeon, the hawk showed it off to a small crowd of admirers that had gathered to watch. The hawk was scared off the bench and was forced to abandon the pigeon. If it hadn't had the pigeon in its talons already, I'm sure it would have gouged this guy's eyes out. So, it's back to the original meal, which is still lying on the ground where it was dropped 2-3 hours before. See many more hawk photos here. Wow, Hawkeye, these are great. 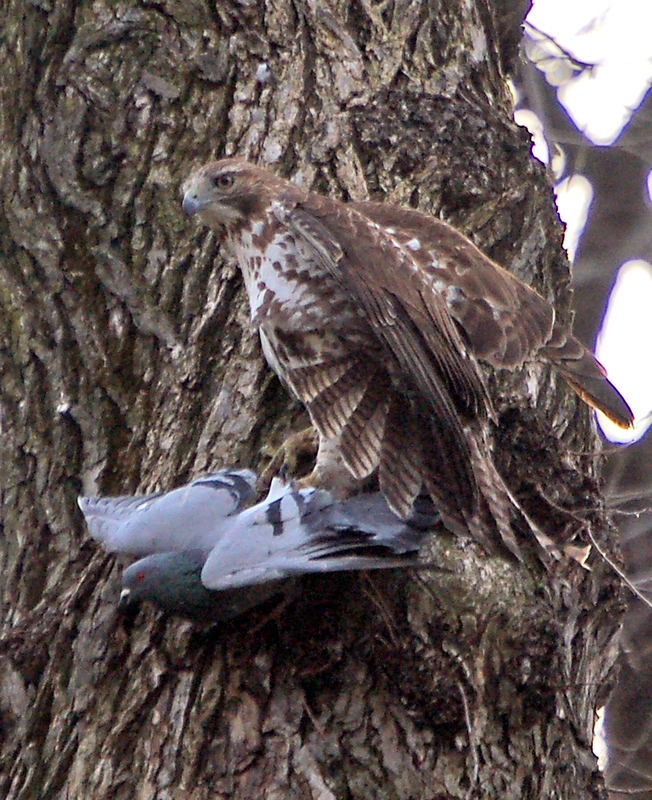 Why didn't the hawk come back for the original pigeon after he/she was chased away. Or did that character steal it? 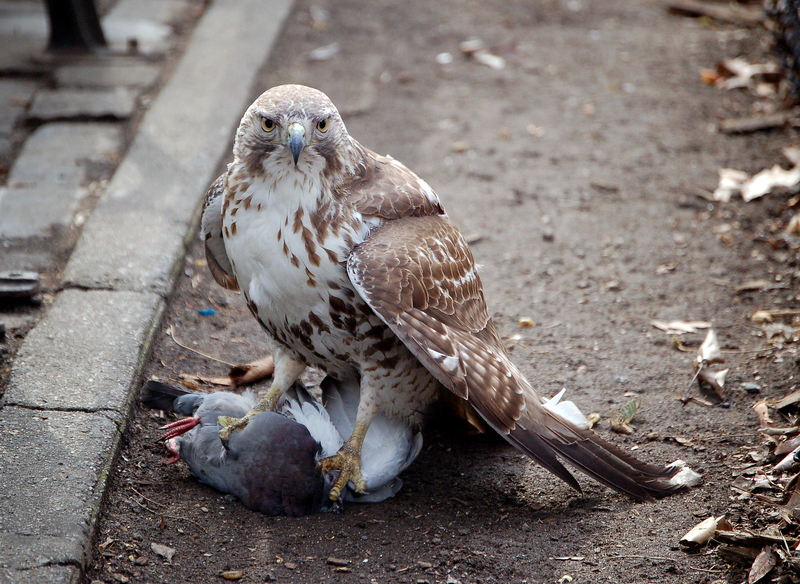 I'm not sure why the hawk didn't eat the pigeon right away. It did sit up in a tree and cry for a while. I love this hawk series! That top photo is spectacular! I look forward to more! Hawks typically stash food for leftovers for times when prey is hard to come by (which is probably why this Hawk didn't eat right away). 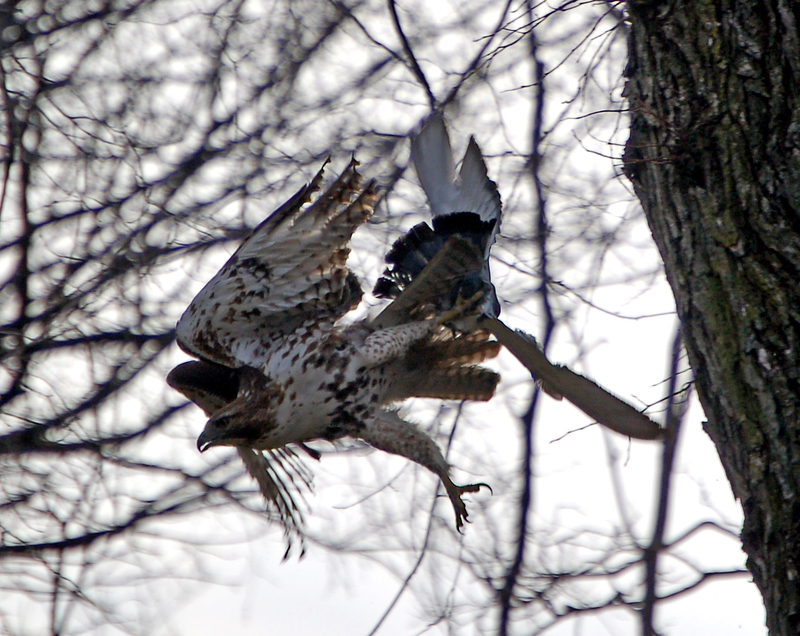 Our city Hawks like to store kills on branches, air conditioners, building tops, etc. Thanks, Marty! I'm sure there will be more...there's action every time I visit the park. Thanks Roger_Paw. I've been a bit obsessive lately - was in the park at 6am Sunday morning (before the sun came up) just to see if the hawks were hunting, and they were. there was no other bench for the jerk to sit on?